Image courtesy of NBN Co.
NBN Co has partnered with commercial broadband satellite manufacturer Space Systems/Loral (SS/L) to build two next-generation Ka-band satellites, a move set to provide remote Australian communities with high-speed broadband. The satellites are designed to deliver high-speed broadband to 3 per cent of premises outside of the NBN’s reach, including outback areas and external territories such as Norfolk and Christmas Island. As part of the near $620 million contract, SS/L will also supply the telemetry, tracking and command systems for NBN Co’s Long Term Satellite Service, an investment worth about $2 billion. The satellites and additional systems are planned to be unveiled in next 41 months, with the first satellite to be launched in early 2015 and the second to be launched later that year. According to NBN Co chief executive, Mike Quigley, the satellites are expected to deliver initial peak broadband speeds of 12/1 Mbps. 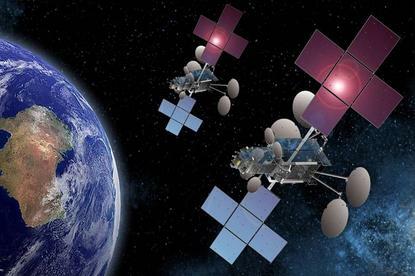 NBN Co is currently using an Interim Satellite Service, which provides download speeds of up to 6 Mbps, until the two satellites are operational. More than 2500 homes are connected to the interim service.